The freight depot at Marion was built about 1870 and is the oldest surviving structure from the Western North Carolina Railroad. 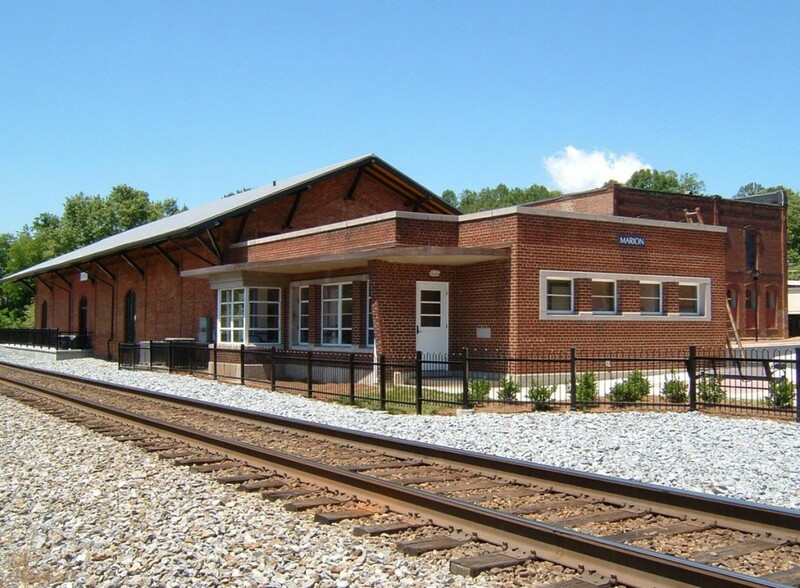 An addition was built about 1910, followed by a 1952 remodel and passenger depot addition. 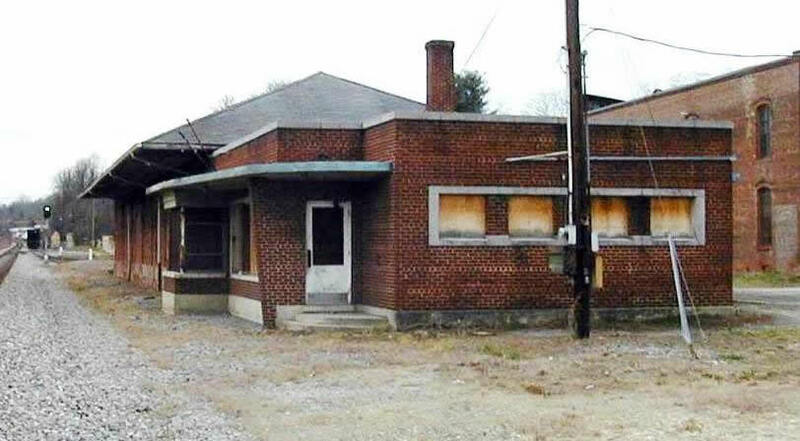 By the late 1990s the depot was empty, derelict and endangered. HagerSmith Design’s approach involved creating new toilets and a lobby in the east end of the freight depot, allowing both sections of the facility to operate independently. 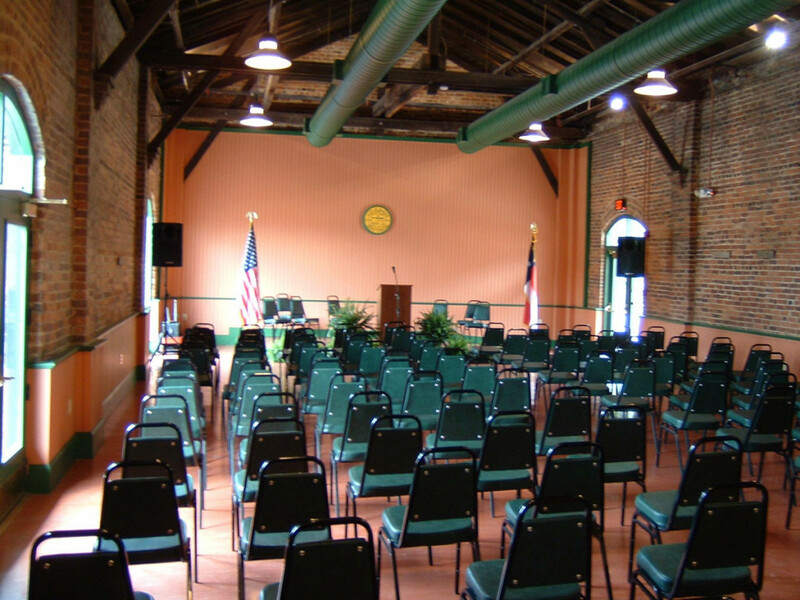 Following pictures and drawings discovered through historical research, much of the depot was reconstructed and repaired to its original form. Interior walls were re-configured in the passenger depot, and new finishes were applied to create a 1950’s period appearance. The roof trusses were cleaned and left exposed, as were the original side walls and their painted inscriptions. A new stage was constructed for the multi-purpose space. 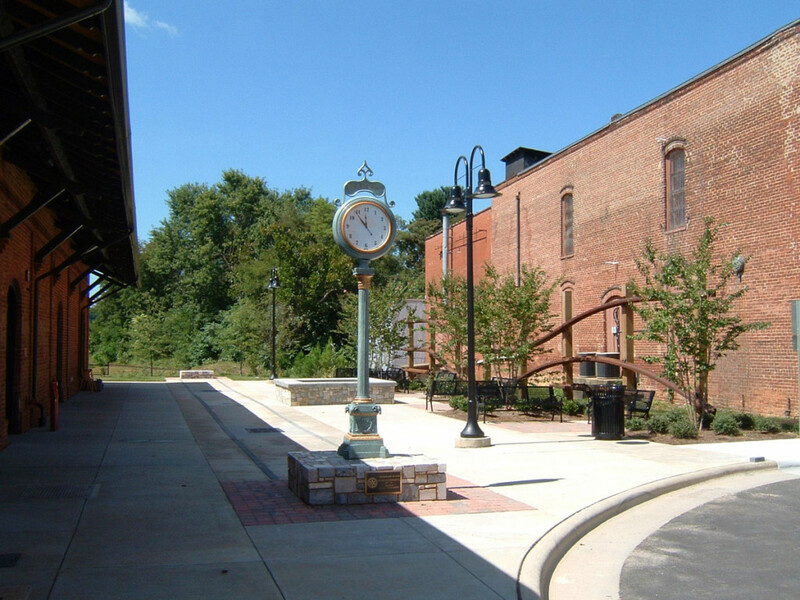 Around the depot, the site was rebuilt to provide parking and a civic plaza with a fountain, clock, and a rail-art sculpture.